Stem cells are the basic building blocks of life, the basic cell from which our bodies are made. Their remarkable ability to become other types of cells makes them essential in the repair and renewal of dermis, tissue and body organs. Unlike other cells, they can divide and replicate over and over again. They give rise to new brain cells, heart cells, skin cells, etc. and are a critical element in the rejuvenation of the skin. Once administered into dermis, there will be a significant increase in the collagen and the elastin content of the skin. This concomitantly has a significant effect in lifting and tightening of the skin, delivering improved radiance or glow, and a marked reduction in fine wrinkles in both men and women. Local anesthetic cream is applied to the area being treated one hour prior to microinjections. Venous extraction of 5-15 cc of blood is done, centrifuged and plasma extracted. Treatment by mesogun takes 15-30 minutes, while microinjections take 30-60 minutes and treatment using dermaroller takes 15-30 minutes. Some redness, bruising and a little pain may occur at sites of injections that may last up to 72 hours. How long before any results are seen on the skin? 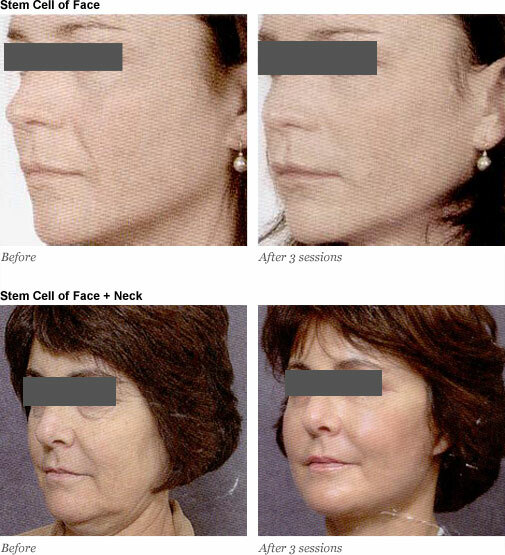 After it is introduced into the mesoderm layer of the skin, stem cells rejuvenate new skin. 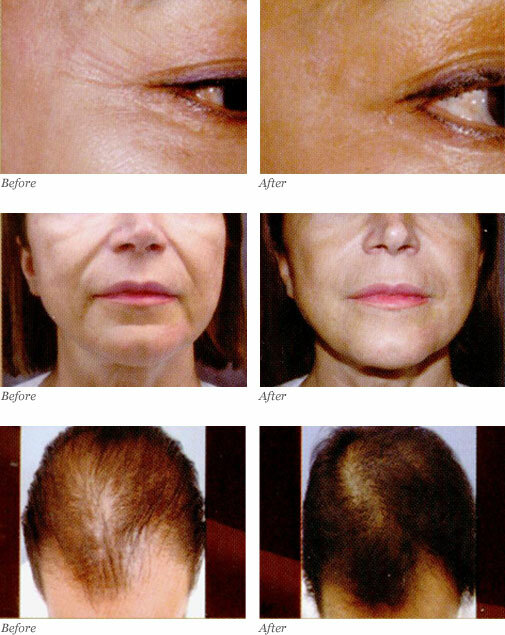 This process needs sufficient time and results start to show after 3 weeks, and more significant results start to appear 6 weeks after the treatment. How often should one get stem cell treatments? Treatments with stem cells are recommended 1 to 2 to 3 months apart for series of 3 sessions. However, as the results can vary with age, treatments can be repeated after 2 to 5 years. These stem cells and their secretory factors can stimulate collagen synthesis and migration of fibroblasts during the wound healing process. These stem cells inhibit melanin synthesis by down-regulating the expression of tyrosinase and TRP1. These stem cells protect human dermal fibroblasts from oxidative stress. These stem cells promote hair growth by increasing the proliferation of dermal papilla cells and epithelial cells through modulation of cell cycles, and activating the anagen phase in hair cycles.